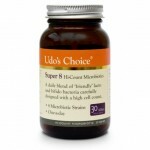 Within our intestinal tract trillions of health-promoting friendly bacteria naturally reside. These are collectively known as probiotics, meaning for life, and are essential for our digestive health and immune system. Over 400 types of bacteria exist in the human gut amounting to typically 3 to 4 pounds in weight. If our diet does not provide us with enough prebiotics (food to generate new bacteria) then we may feel the need to take a prebiotic or probiotic supplement. Probiotics maintain digestive health and comfort by digesting particular substances in the diet and enabling efficient nutrient and mineral absorption. A normal healthy gut has a good balance of friendly bacteria over bad bacteria ( which typically exist in minor quantities in the gut); however, this balance is fragile. Factors such as stress, dietary habits, medication (especially antibiotics) can all have an adverse effect. 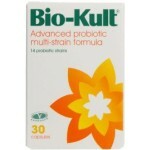 There are many different probiotic supplements available, reflecting the range of the more useful bacteria known to populate the intestines. 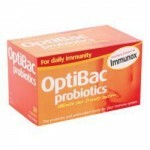 The most common of these bacteria is Lactobacillus Acidophilus and will be found in almost all probiotic supplements. L.Acidophilus is able to survive the gastric acids and bile salts in the stomach and therefore reaches the intestines where it is needed. 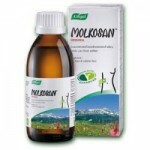 Part of its function is to protect the intestinal lining. Bifidobacterium supports the production of antibodies, promotes detoxification and maintains resistance to undesirable, bad bacteria. 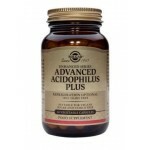 B.Bifidum also supports the intestines to assist transit, promote comfort and optimise a healthy frequency and regularity of bowel movements. 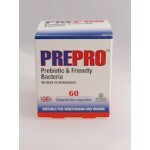 Prebiotics work to support large intestine bacteria and ensure good functioning of the colon. 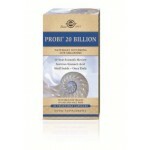 All of these probiotic and prebiotic supplements can be found in powder, liquid and capsule form. Probiotics can also be found in live natural yoghurt, though nowhere near as potent as as you would get from taking a probiotic supplement which may range typically from 1 to (say)50 billion bacteria per dose. Please note, obtaining your daily dose of probiotics from many of the yoghurt drinks on the market is not considered by many to be an appropriate way to achieve a healthy balance of good bacteria. Many of these products contain sugars which is a key food to bad bacteria. Medical studies show that replenishing the intestines with probiotics is a natural way towards maintaining a healthy lifestyle because of the major impact on natural immunity as well as transfer of vital nutrients. Disorders in the gut can lead to autoimmune problems that manifest in other disorders in the body, for example eczema or asthma or arthritis. Infant children require very specific bacteria and cannot tolerate many adult strains until about 3 or 4 years of age. Lactobacilli and bifidobacteria maintain a healthy balance of intestinal flora by producing organic compounds—such as lactic acid, hydrogen peroxide, and acetic acid—that increase the acidity of the intestine and inhibit the reproduction of many harmful bacteria. 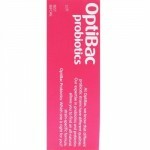 Probiotic bacteria also produce substances called bacteriocins, which act as natural antibiotics to kill undesirable microorganisms. Antibiotics and prolonged use of antacids may radically interfere with this system of acidic control and hence have consequences for health. There are many strains of these fundamental bacteria as well as bacteria such as e-coli which can have beneficial as well as adverse effects. 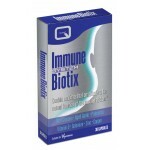 Bacteria which have protective functions exist elsewhere in the digestive tract and on other skin surfaces.